Thankful Thursday - My Circle of Women — Your Creative Connection, Inc.
June 28, 2018 Your Creative Connection, Inc. I attended my 40th college reunion earlier this month, and was struck by how easily I was able to share stories, collaborate, and reminisce with many women I hadn't seen in 4 decades. The shared experience of four years of college bonds us in ways outsiders will observe but never really understand, and it is that experience which guides our interactions with each other all these many years later. Of course, we're all different, we've chosen divergent paths in both career and family, but our Wellesley experience is our commonality. This is even true with alumnae from other decades, which can be even more extraordinary; knowing I have a bond with a 96-year old woman riding in the alumnae parade in the Model-T (that'll be me in 30 years!) is a very special feeling. 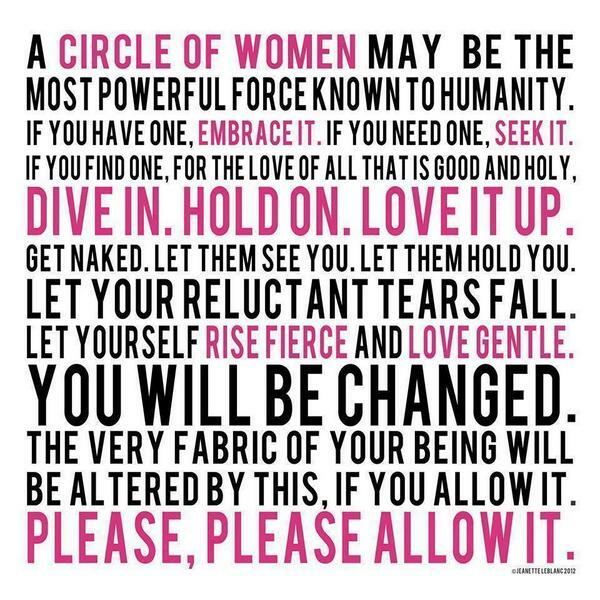 My circle of women challenges me, nurtures me, and keeps me grounded. I am privileged to count among my circle women of diverse ages, races, backgrounds, and geographic locations. And, thanks to Facebook, that circle is even wider than ever. I love having the ability to communicate ideas, share successes, ask and answer questions, and have a window into the lives of the women I know. Of course, face to face conversation is best (and a glass or two of Prosecco doesn't hurt), but catching up with a friend in South Africa on my computer is very cool indeed. The Your Creative Connection unique mixed media experience will give our Creative Explorers the chance to widen their own circle of women while they learn, discover, experiment, and create beautiful things. What could be better than that? If you're intrigued by this notion, click on over to read about what we have in store for October 11 through 15th, then register. We look forward to welcoming you into our circle of women!